This tastes as good as it looks! I substituted walnuts for pine nuts in this recipes because walnuts are the healthiest nuts. Of all nuts they are the richest in Omega-3 fats, antioxidants and also contain the amino acid l-arginine for a healthy heart. On top of that they are easier to digest and cheaper than pine nuts. Win, win!!! 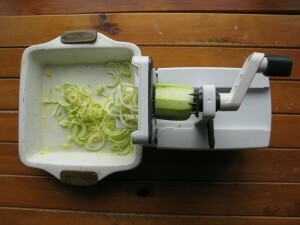 This is such a quick mid week meal to make especially when you get used to using the spiralizer. I love that this makes me feel like I am eating pasta but without so many carbs and I am getting a healthy amount of veggies too. What’s not to love?? Preheat the oven heat to 120°C fan/ 140°C electric/ gas mark 1/ 275°F. 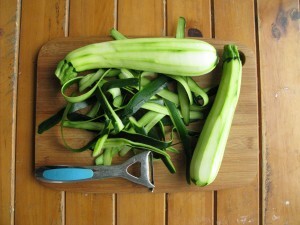 Place the spiralized courgette or noodles in a dish greased with olive oil. Meanwhile prepare the pesto by placing the walnuts in a blender and mix at high speed until broken down. Next add Parmesan, basil leaves, garlic and salt and a little drop of olive oil. 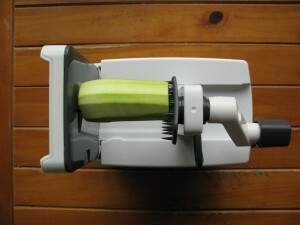 Begin to blend while pouring in the remaining olive oil until you reach desired consistency. Spoon through courgette once ready. Serve with some extra Parmesan and some black pepper. 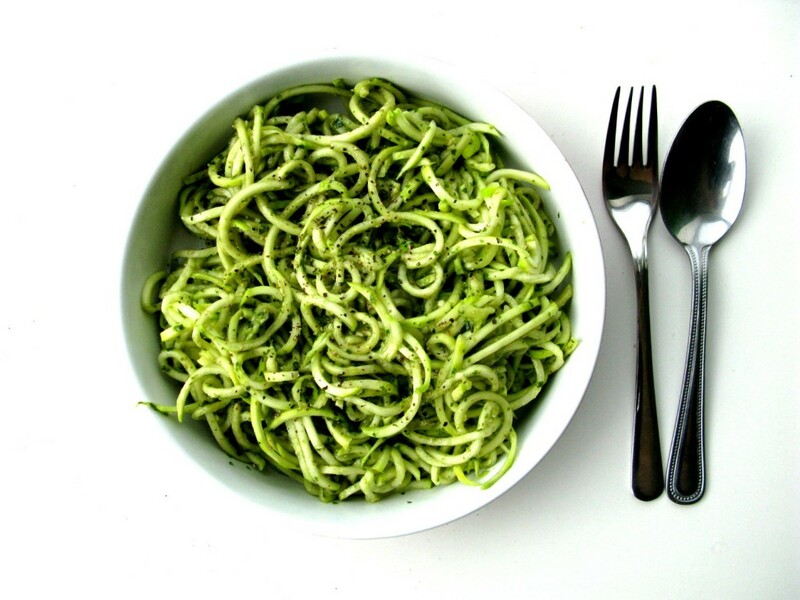 Any leftover pesto can be stored in the fridge for up to one week in an airtight container.